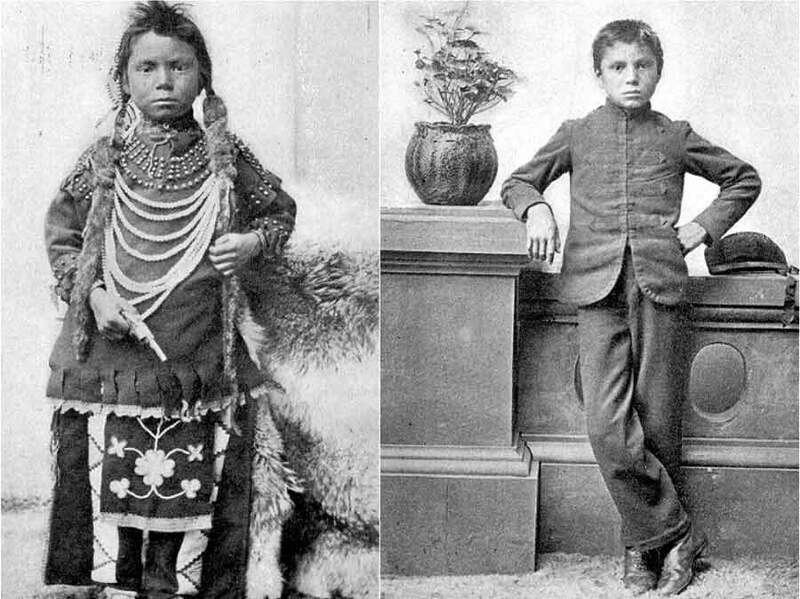 Back in the 1880’s to the mid 1900’s there were numerous residential schools run by the Canadian government and Christian church. Their purpose was to erase Native culture, by means of assimilating them to a more European-like culture. (Hanson, The Residential School System, 2011) Many people believe that since these schools are now closed, the effects that they had on Indigenous students are no longer valid. This is far from the truth. Even the descendants of school victims 2-3 generations later are still affected dearly by the experience. These schools were very harsh towards the Indigenous students, and the students were often abused physically, verbally, and sexually. This had a great toll on their mental state, and often led to substance abuse, violence, or suicide. The larger issue is that these effects have been passed on from generation to generation, essentially creating a cycle. This cycle is extremely hard to break as it has become an epidemic of profound proportion in their culture. Many political, economic, and social issues in the First Nations are connected to the abuse received at residential schools generations ago. Some of these issues include abuse of power, homelessness, loss of community, breakdown of families, poverty as well as the addiction/substance abuse previously mentioned. (Restoule, The Soul Wounds of the Anishinabek People, 2013) From the residential school experience stems the ongoing challenge of incarceration. This is a primary reason why natives are ten times more likely to be involved in crimes compared to other ethnic populations in Canada. Moreover, those of a Native background in prison are on average, younger than the remainder of the prison population. (Canadian Government, Aboriginal Offenders – A Critical Situation, 2013) This data demonstrates that Aboriginal youth tend to lose their way at a younger age, and a prime factor affecting this is the intergenerational impact from residential schools. Protester’s shirt depicting how even though the direct oppression has stopped, the indirect effects live on. In conclusion, the Church and Canadian Government’s role in the overseeing of residential schools has impacted Indigenous people greatly at the time, and is still impacting them today. Sadly, as of now it seems that the intergenerational effects will continue until the loop is broken. Hanson, Erin. “The Residential School System.” Indigenous Foundations. UBC, 16 Jan. 2011. Web. 8 Apr. 2015. 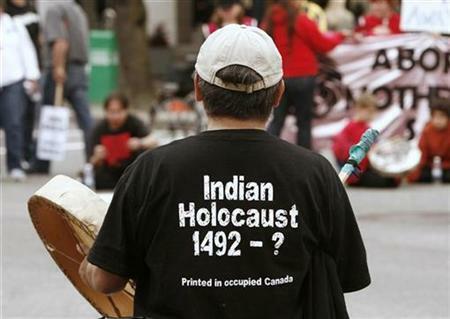 <http://indigenousfoundations.arts.ubc.ca/home/government-policy/the-residential-school-system.html&gt;. Restoule, Brenda. The Soul Wounds of the Anishinabek People. North Bay: Union of Ontario Indians publisher, 2013. 1-12. Anishinabek Nation . Web. 6 Apr. 2015. <http://www.anishinabek.ca/irscp/irscp-health-resources.asp&gt;. “Aboriginal Offenders – A Critical Situation.” Office of the Correctional Investigator. Canadian Goverment, 16 Sept. 2013. Web. 9 Apr. 2015. <http://www.oci-bec.gc.ca/cnt/rpt/oth-aut/oth-aut20121022info-eng.aspx&gt;.